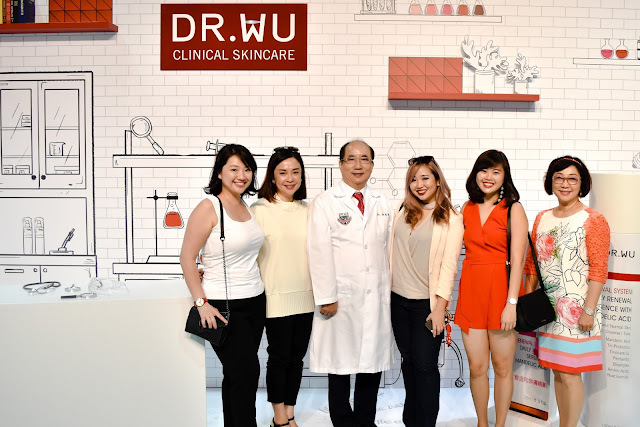 Last month, a few of us were invited to the launch of the DR WU Clinical Skincare Mandelic Acid range in Taiwan where we got to witness the unveiling of the latest series of products - in a bid to help alleviate acne and counter any dullness on the skin! 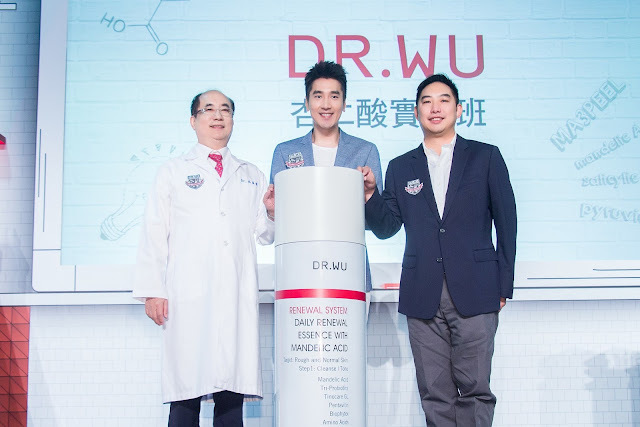 For those who have been following my social media channels, you would have known that I've been a huge fan of DR WU's Daily Renewal Serum with Mandalic Acid - so much so that I have been stocking up whenever they're on discount. 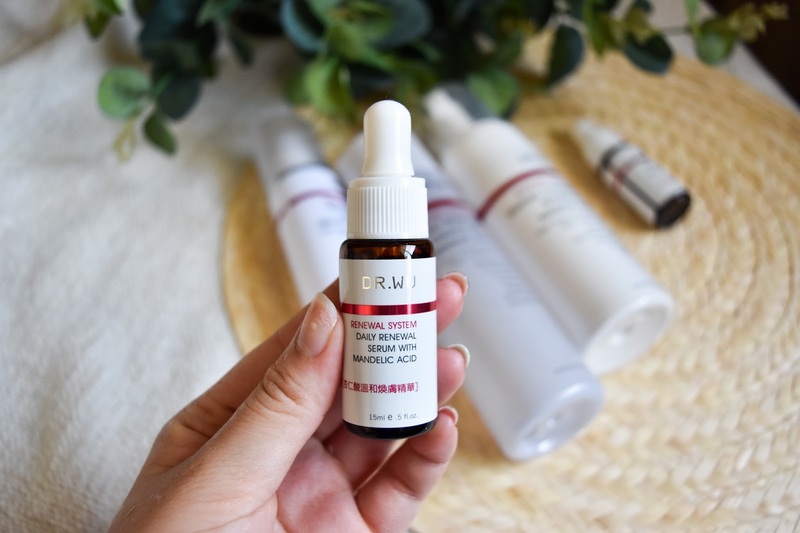 The Daily Renewal Serum is one of the holy grails of my skincare routine - one that I have to apply every night before I slap on my other skincare products! 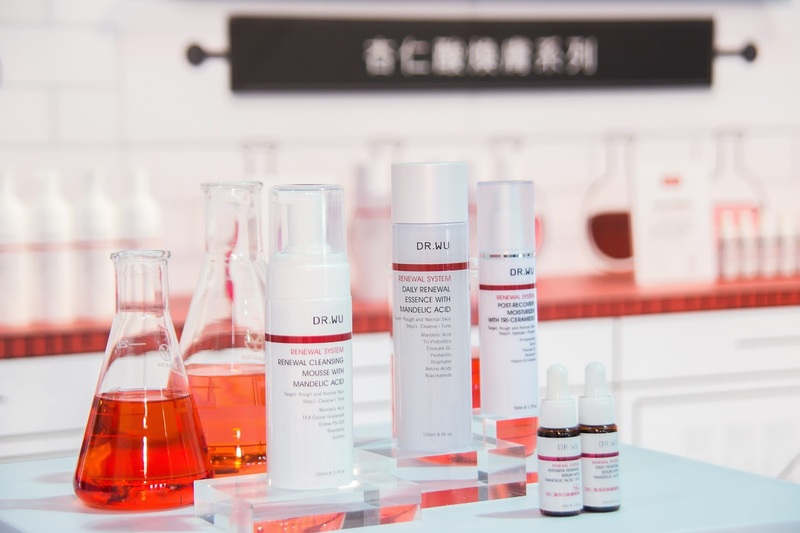 This year, the DR WU Mandelic Acid range focuses on the concept of skin renewal with three acids and three probiotics that emphasises on moderate metabolism and thorough skin invigoration to achieve the best results in skin renewal! 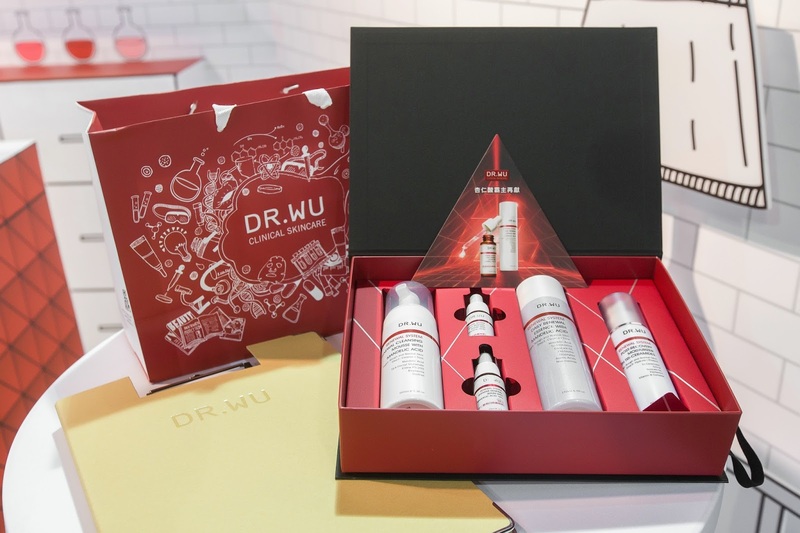 Also, what I love about the DR WU range of products is that since Dr Wu himself has acquired over 40 years of vast clinical experiences and extensive research on skin tissue structure, you know you can definitely trust someone like him! He also has a vast experience in technologically advanced skincare - making you feel as though you have a personal doctor performing these skincare treatments for you in the comforts of your home! With the CEO of DR WU, Eric Wu who is also Dr Wu's eldest son! 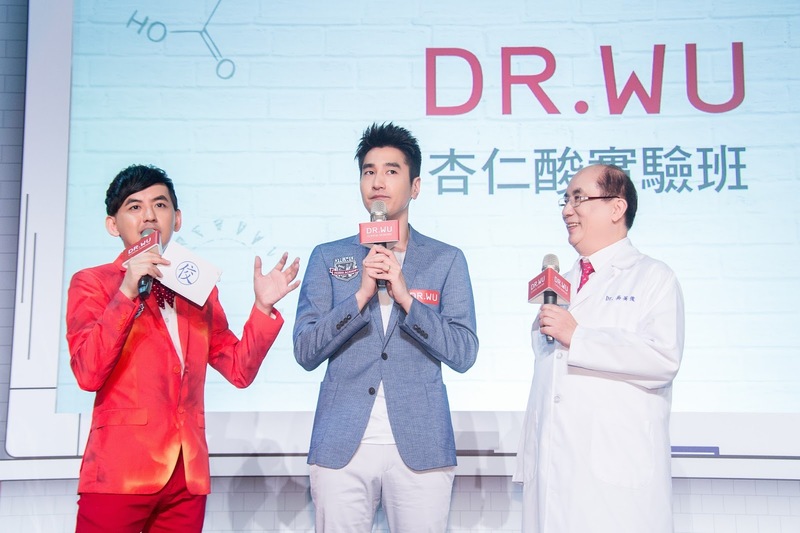 Press conference at Hua Shan 1914 Creative Park where we got to meet Dr Wu as well as the brand ambassador - Wu Yifan! 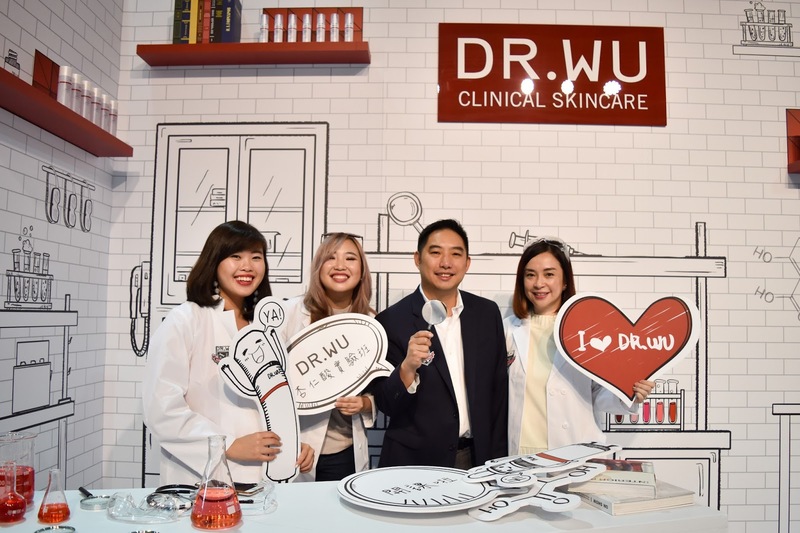 Helmed at Taiwan's No.1 Clinical Skincare brand, DR WU's range of skincare products have gone through multiple processes of research and refinement for it to achieve what it has today. 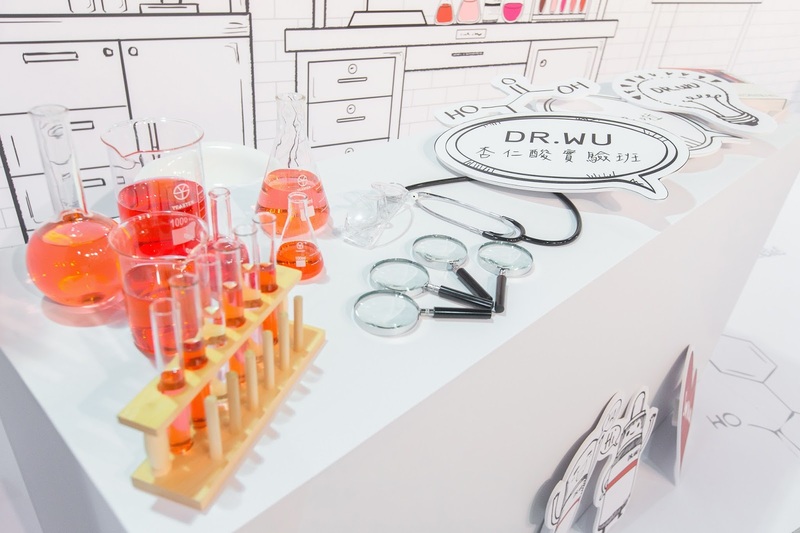 The philosophy behind their work is always to bring about non-surgical solutions in enhancing one’s beauty and wellness! This cleansing mousse makes use of the bubble lather technology to help you cleanse pores from deep within! 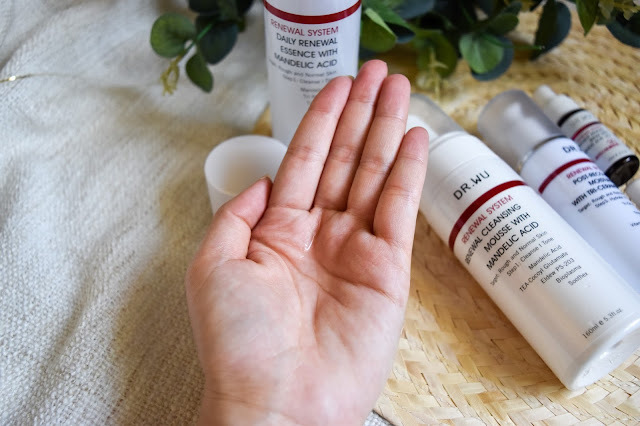 By combining purified Mandalic Acid with amino acid cleansing agents, it helps to remove and metabolise dead skin cells and blackheads to give your skin it's natural glow! 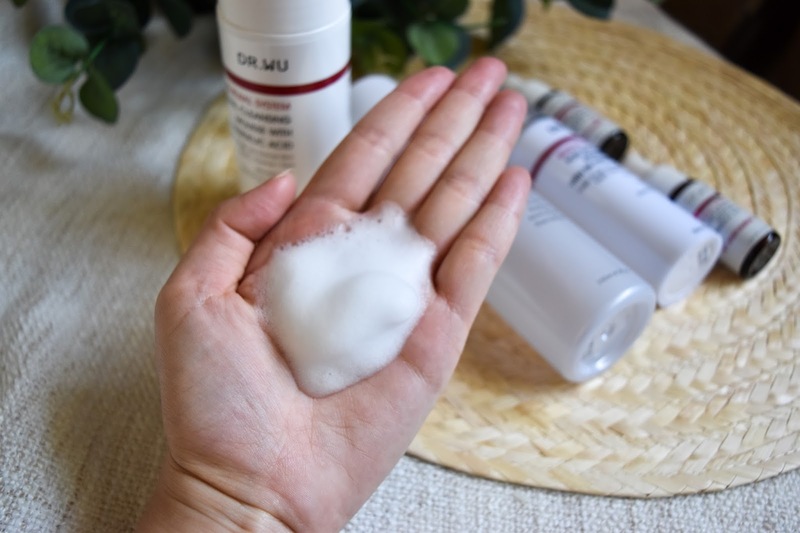 Unlike other cleansing mousse I've used, the product does not lather as much and is extremely gentle on the skin. It's also advised to use this product after your makeup remover - always important to double cleanse whenever you apply makeup! 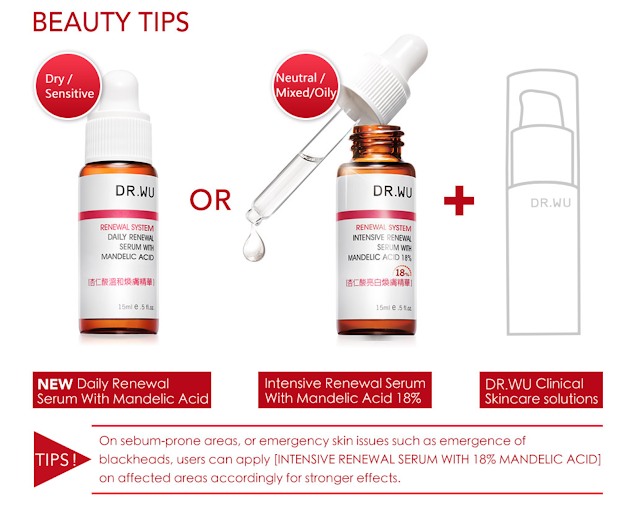 Immediately after cleansing, apply the Daily Renewal Serum with Mandelic Acid. 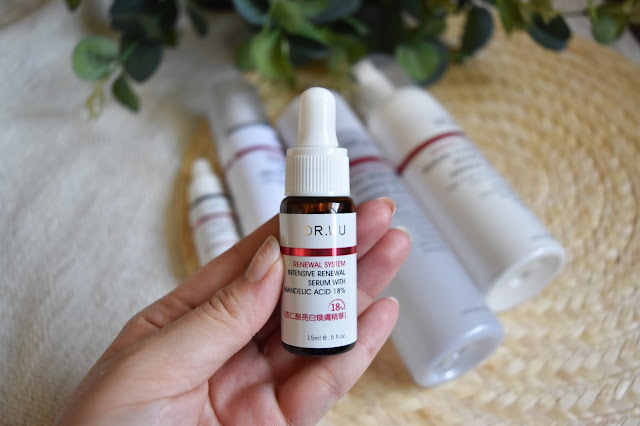 Unlike the 18% Mandelic Acid Serum, the Daily Renewal Serum is gentler on your skin - by using the perfect 5:2:1 Golden Ratio of Mandelic Acid, Salicylic Acid and Pyruvic Acid to penetrate deeper and faster for immediate skin regeneration! This helps to eliminate skin troubles in one simple step - such as acne, blackheads, enlarged pores and rough dullness! 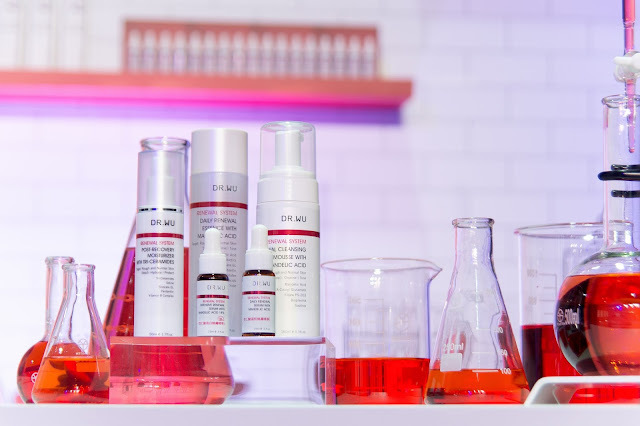 Upon applying, you might experience a slight tingling sensation caused by the PH level difference between our skin and the ingredient used in the Daily Renewal Serum. 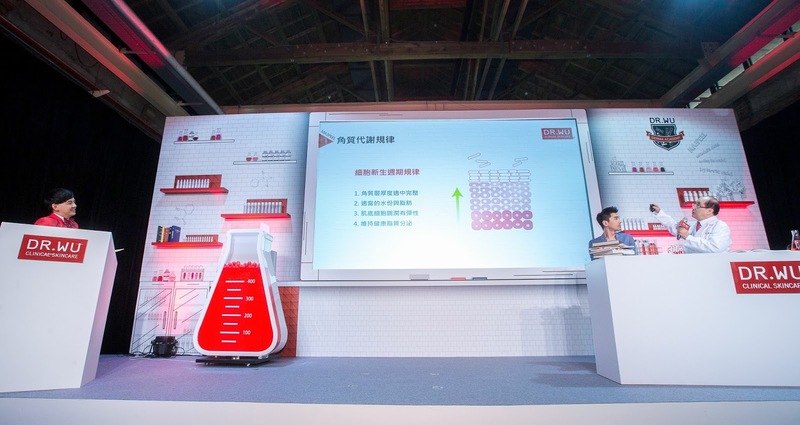 However, the feeling will soon disappear after the product has been neutralised. Even though it's advised to use this product around 2-4 times a week, I still use it every day as I have extremely dry skin. But, for those who have combination skin, 2-4 times a week is sufficient! I've since finished using 3 bottles of this now! For someone who frequently experiences acne on her chin (especially during my period), my skin tends to flare up less easily now and even if it does, the pimples go away really quickly - almost immediately after I end my period! Alternate your usual serum with the Intensive Renewal Serum with Mandelic Acid for the best results! 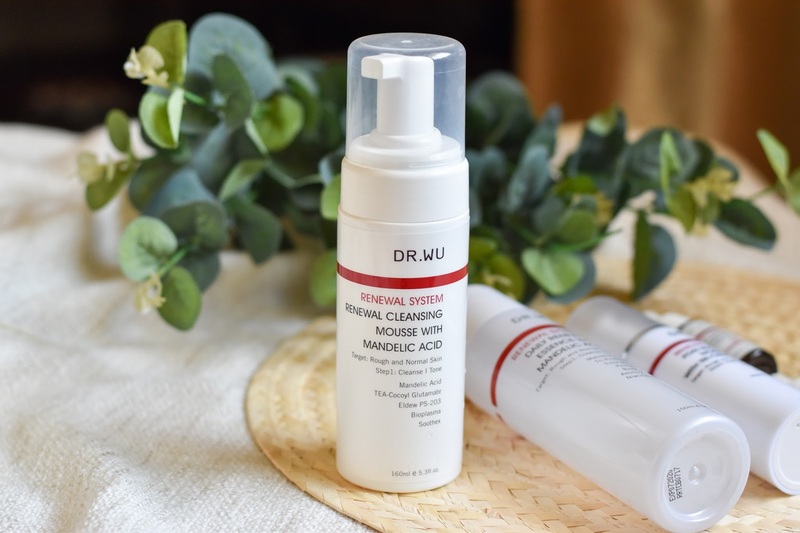 This is the 'stronger' version of the Daily Mandelic Acid, and it's highly recommended to use this products only 2-3 times a week as it might become too drying for your skin! 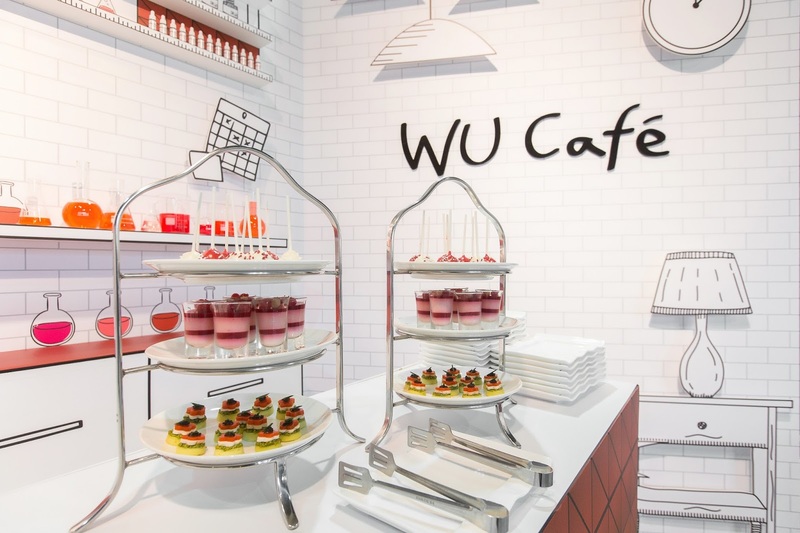 This uses a revolutionary home spa facial treatment that uses several patented technologies and ingredients to refine skin texture, diminish fine lines and improves skin elasticity and firmness! 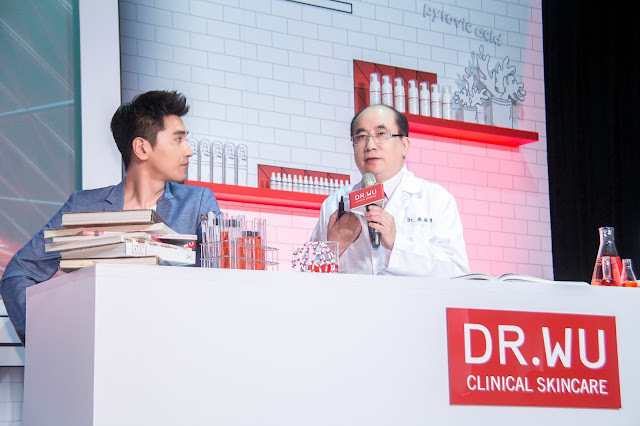 Beauty tips as recommended by Dr Wu! 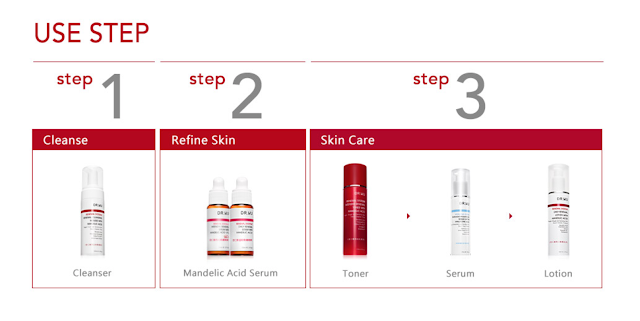 After applying toner, you can move on to apply the Daily Renewal Essence with Mandelic Acid. 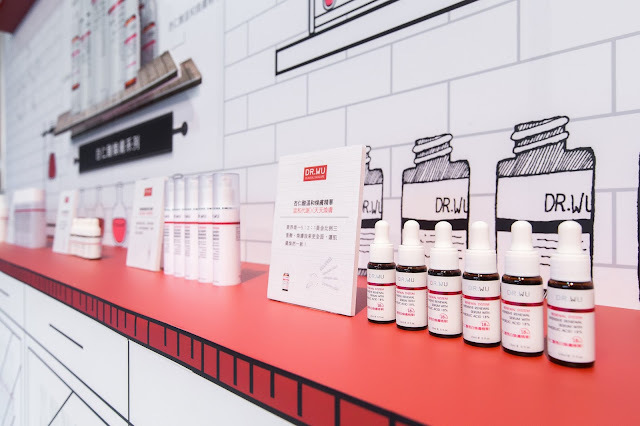 This product helps to uproot any blackheads or whiteheads deep from within your pores and helps to accelerate the self-regeneration of your skin! 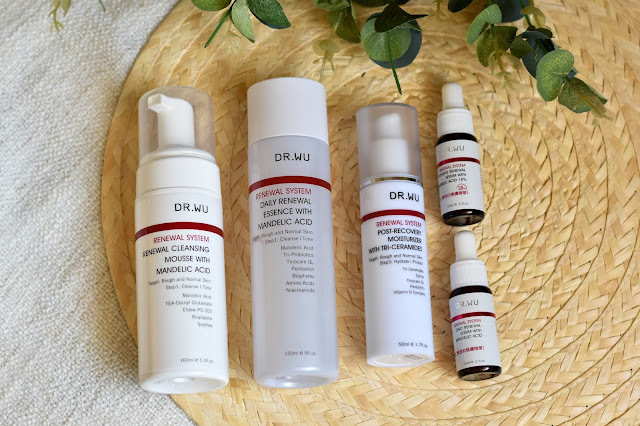 It helps to make your skin look brighter and also removes the appearance of dark spots and enlarged pores - giving you the flawless skin that you deserve! 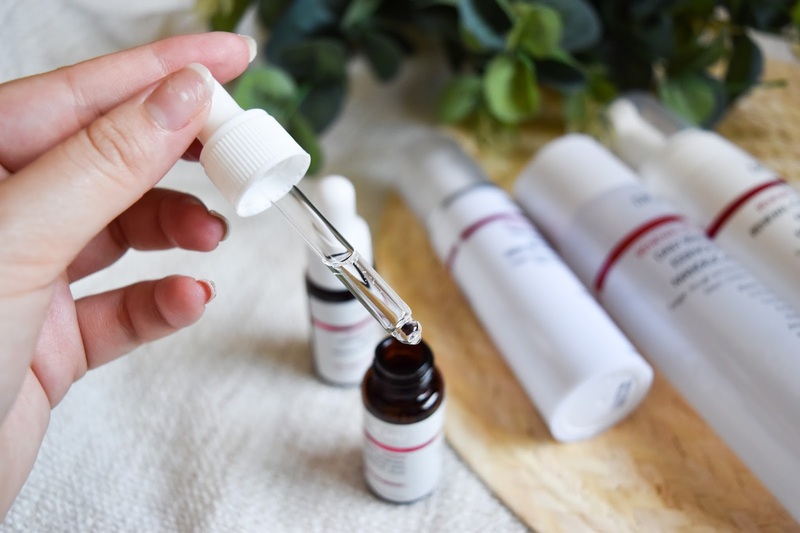 Also the most important step of your skincare routine - especially if you sleep with the air-con on! 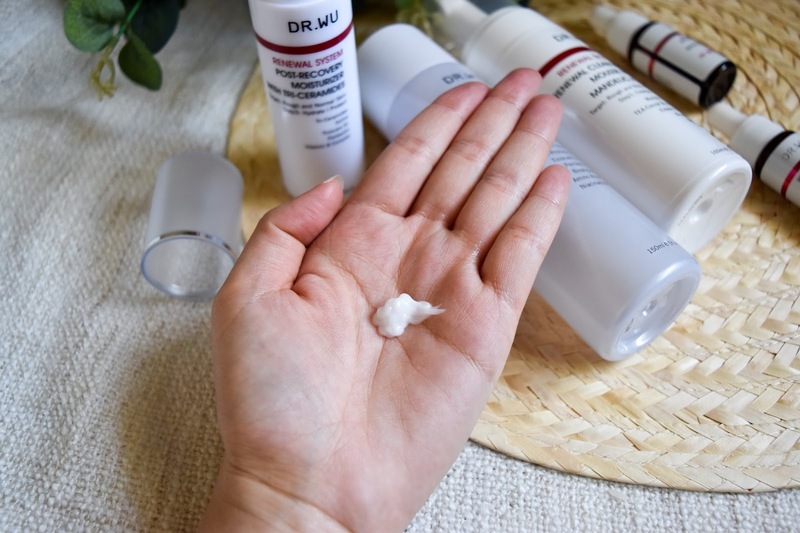 Unlike most moisturisers that are heavier in texture, this moist is lighter and creamier in texture which helps the product penetrate into the skin even quicker! It can also help to relieve all forms of skin irritation and stabilise sensitive skin conditions. When you wake up, you'll find that your skin has been well-hydrated and is not sticky at all! For someone who has extremely dry skin and have to double moisturise most of the time, this product has been working really well for me! I usually apply 3-4 pumps all over my face before turning in and it really makes my skin glow in the morning! 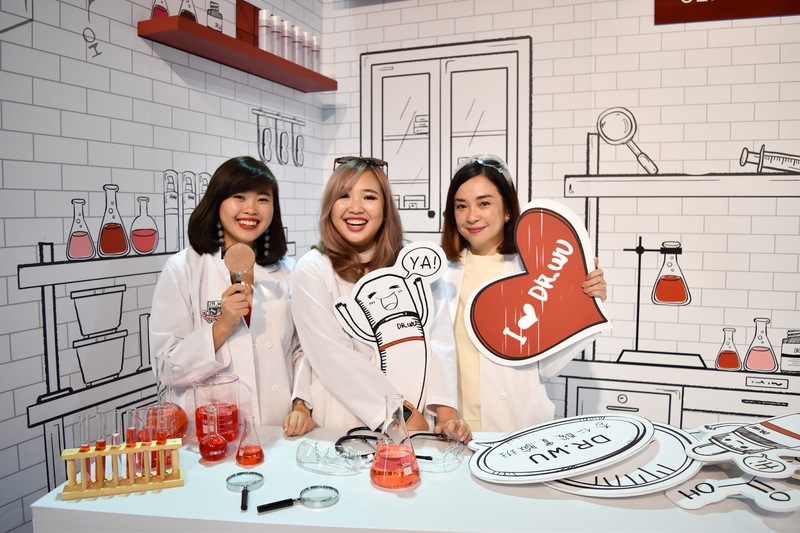 Still, this doesn't mean that you've to ditch the products that have already been working for your skin! You can always alternate your skincare products according to your skincare needs for the best effect! 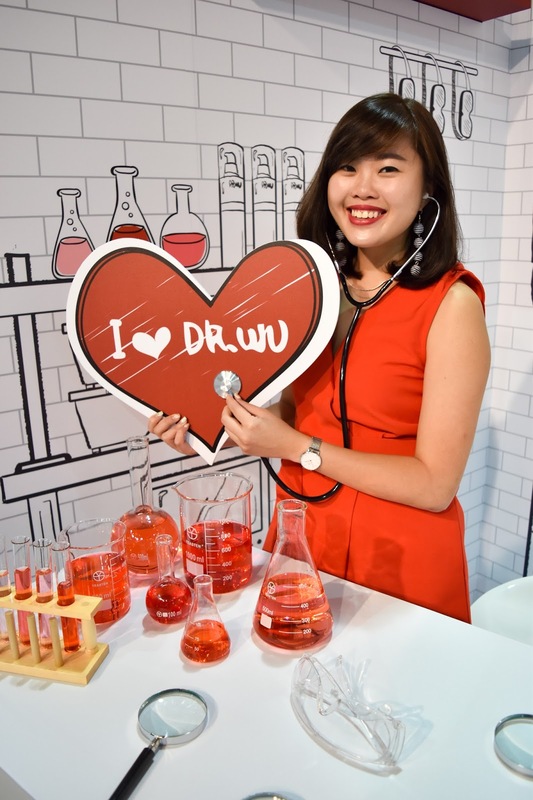 And, for those who are interested in purchasing the range of DR WU's skincare products, you can find them in most major Watsons outlets in Singapore! 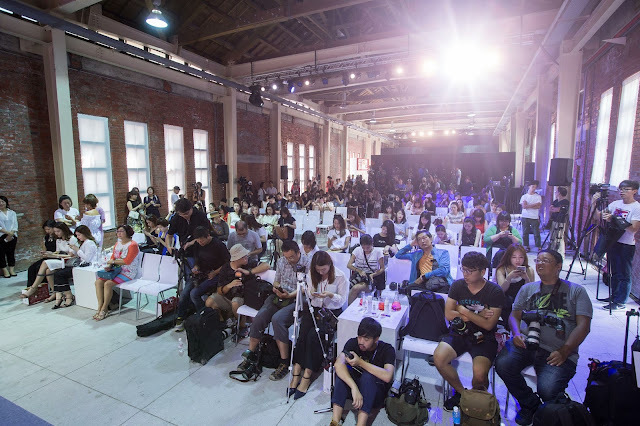 However, most of them usually sell out pretty quickly so, fastest fingers first!